I’m really good at signing up for a bunch of things at once and trying to learn multiple things at once. Just now, I just signed up for a four week course from FlowingData to learn how to work with R and create data visualizations. I’ve been flirting with the idea of signing up for it, it cost 59 bucks, but you also get access to their membership areas and loads of tutorials. I also just finished my first week of Learn to Speak Korean I on Coursera. Brandon and I took First Step Korean last year, which got us started with hangul and basic words. But now, this course is actually about REAL conversations. so this should be cool. 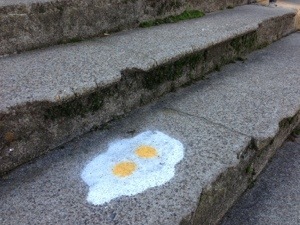 I’ve decided to move my photo a day to tumblr. It felt a bit too overwhelming and personal for this blog. 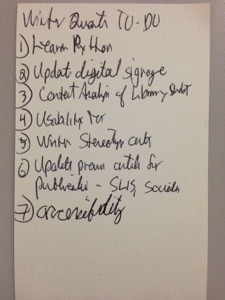 Here’s my winter quarter to do list. I went to go through all thirty lessons in Learn Python the Hard Way before the end of the quarter. I thought I’d pick up art again. 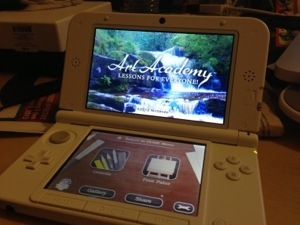 So I’m using Art Academy on the 3DS. I pretty much only did two things today: watched Zero Dark Thirty and had Chinese food. 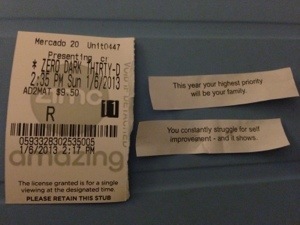 I’m a fan of my fortunes, especially the self-improvement one! 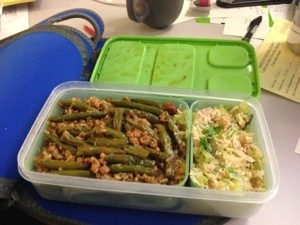 One of my biggest things since starting my new job is to bring lunch. I don’t want to end up buying lunch all the time. One thing I miss about my old job – free lunches! Thank goodness I’m all about bento boxes. I have four now, plus random tupperware-type things. 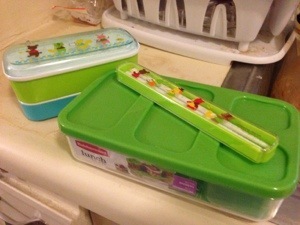 Here are my two newest ones – a cute Japanese one and a Rubbermaid one. I ended up going to the city today. Mmm. 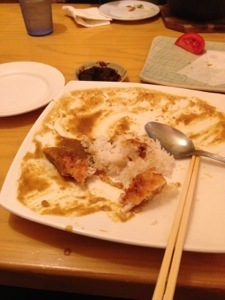 Katsu Curry!